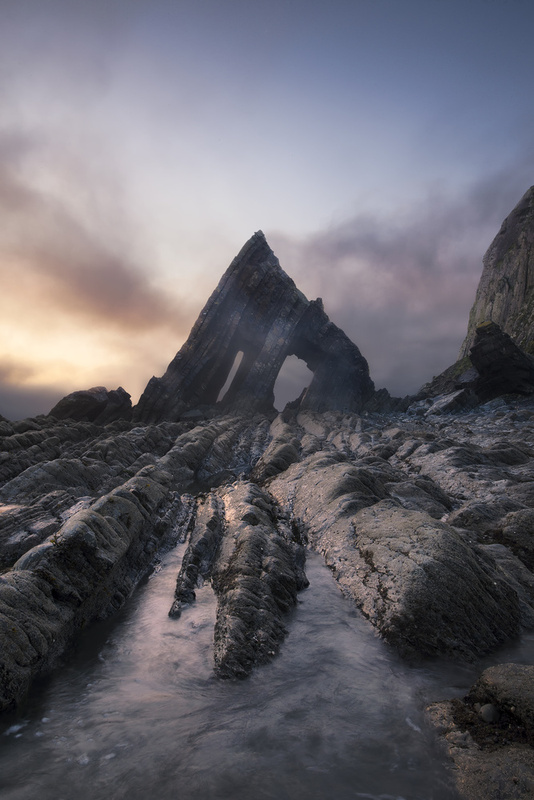 pic Cinematic Sunrise through the ( extra) thick fog at Black Church Rock along the North Devon rugged coastline- met two awesome German photographers who were witness to my precariously placed tripod tipping over and me diving to catch it before it smashed into the slate rocks below !! No video but we all had a great laugh about it! Excellent mood and composition, superb! Really nice picture. Would you mind sharing setup and settings? Post work was quite minimal, everything I did I learnt from POW with Eli Locardi Tutorial. World class. Wish it was mine!